» home » enterprise zones » » a new game in town: what to expect from washington, d.c.
A New Game in Town: What to Expect from Washington, D.C.
Omar Nashashibi is a founding partner at The Franklin Partnership, LLP, a bi-partisan government relations firm retained by the Precision Metalforming Association in Washington, D.C.; tel. 202/393-8250, www.franklinpartnership.com. As the “what-ifs” of the 2016 campaign have faded to questions of “what now,” one thing has become clear: The new administration will bring anything but business as usual to Washington. Republicans control the White House, both chambers of Congress, and soon the U.S. Supreme Court, for only the second time since the Great Depression. Democrats failed to not only take back the Senate, but to even make any significant gains, leaving them poorly situated to defend 25 seats in 2018 to only eight for the GOP. This means Trump likely has a full Republican Congress and Supreme Court for all four years of his first term, giving the question of “what now” even more weight. Every successful campaign faces the sudden reality of how to implement election-year promises and how quickly. The Trump administration will continue to take many of its cues from the Trump campaign when deciding which policy priorities to pursue. We will likely see the administration take action on most of the points raised during the campaign but may not go to the lengths proclaimed at rallies and with the speed promised, either due to legal constraints or of their own volition. Repeal Obamacare—The new Congress is poised to quickly send the incoming White House a bill repealing a number of provisions related to mandates, fees and penalties under Obamacare and setting an end-of-2019 deadline to replace the Affordable Care Act. While the GOP still lacks a unified approach on a comprehensive replacement, a 3-yr. delay allows it time to coalesce around an alternative. Infrastructure spending—Trump’s personal top priority is an infrastructure-spending measure, about which some Congressional Republicans have raised concern over how to fund. Regardless of Congressional support, some indicate that the administration is preparing to go it alone without Capitol Hill. Specifically, airports and interstate highways are targeted as areas where the administration already has authority to act. In addition, it is working on a defense/industrial-base initiative. Both an infrastructure and defense package would include some form of Buy America language mandating the use of domestic steel, iron and other related materials. Tax reform—Regardless of the infrastructure package’s cost or scope, it will draw attention to a top priority for manufacturers: comprehensive tax reform. On the campaign trail, Candidate Trump promised a 15-percent corporate tax rate. As his economic team continued to take shape, discussions drifted closer to the House GOP position of a 25-percent flat rate for C-Corporations, but questions still remain about how to address businesses that pay at the much higher individual rate. Many predict some form of international tax reform to pass, allowing overseas companies to repatriate their profits, thereby increasing U.S. tax revenue. A 50-50 chance usually is given to business-tax reform, which would include C-Corporations and cover active income from passthrough businesses such as S-Corporations and partnerships that pay taxes at the individual income tax rate. In this scenario, a 25-percent C-Corporation and 28 to 30-percent pass-through rate is feasible. Experts believe that going much lower for either increases the deficit and would possibly require significant entitlement cuts, a move that Trump himself does not appear to support. 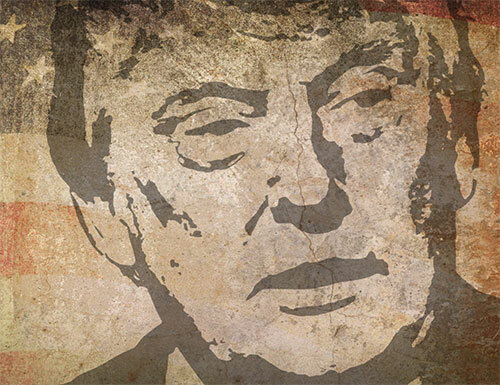 Roll back regulations—The roll back of regulations emerged as a central theme for Candidate Trump and in many ways contributed to his victories in the Midwest and Rust Belt states. Directives from the executive branch come in several forms, some of which are easier to reverse than others. Any executive orders issued under President Obama are easily reversible by the new White House with the stroke of a pen. However, should the new administration want to reverse an Obama rule, the relevant agency must issue a new regulation to replace the previous. This includes a public-comment period and possibly hearings prior to the final regulation taking effect, where it also could meet legal challenges by environmental and health groups. EPA regulations issued under the Clean Air and Water acts likely will take the longest to roll back, but many have yet to take effect. This includes the Clean Power Plan (increase electricity prices six to 30 percent annually); Ground Level Ozone Rule (block economic activity in non-attainment zones); and Waters of the U.S. (EPA expansion of powers). The incoming administration likely will direct its Department of Justice to reverse its arguments in court or simply choose not to enforce rules against the states. Similarly, at the Department of Labor the new administration likely will abandon the Overtime Rule in its current form and reverse several NLRB decisions. Trade enforcement/agreements—Possibly no issue received as much attention on the campaign trail as trade enforcement, NAFTA and the Transpacific Partnership (TPP) Agreement. Candidate Trump vowed to withdraw from the trade agreement with Mexico and Canada. While certain changes are expected, a complete unraveling is considered unlikely in the short term given the many legal and financial entanglements between the three nations, though the administration likely will seek to announce concessions from Mexico early on as a show of progress. Neither the President-elect nor his transition team have shown any signs of backing off a complete withdrawal from the TPP, which encompasses a dozen Pacific and Asian nations. Most do expect the new administration to move swiftly to withdraw from TPP and engage China on potential trade-enforcement actions.